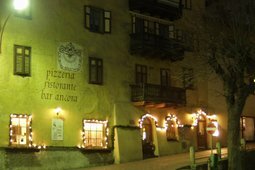 The Dolomites B&B offers rooms and suites in addition to a fantastic breakfast buffet. The rooms and suites were built in 2017, have been finely furnished and all of them come with a private balcony and all comforts. 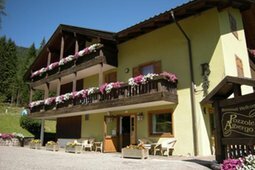 Offer "Spring in Junior Suite"
The Hotel Erica is located two kilometers from the town of Tesero in Val di Fiemme, surrounded by the Lagorai mountain ranges, the Pale di San Martino and the Latemar massif. 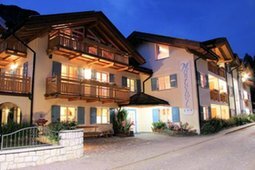 The hotel offers hospitality and comfort with beautifully decorated rooms. 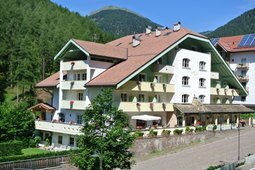 Welcome to the Apartments Trettel Paolo! 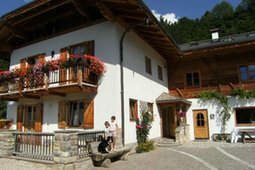 The house is located in Tesero, in the middle of Val di Fiemme, and is the perfect place for people who love nature and the mountains. 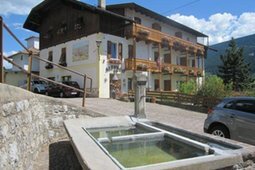 Tesero is a touristic-relevant village that attracts many visitors both in summer and in winter. 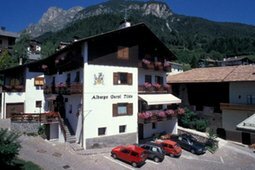 Albergo Pozzole is located in Stava, near Tesero in the Val di Fiemme, surrounded by lush nature in a panoramic, quiet area. This is the perfect destination for a relaxing holiday. 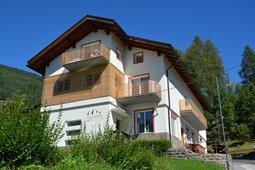 The house features two cozy apartments with 4/5 beds in the attic, completely furnished in alpine style. 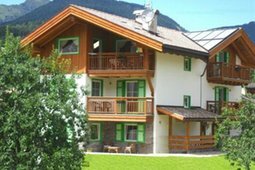 Guests have at their disposal free WiFi, private outdoor parking, a garage for motorbikes (Bikers Welcome), ski room with boots dryer, bicycle storage room and much more. 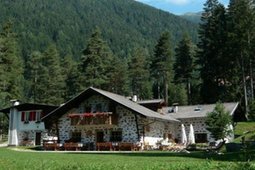 The Residence Mich in Tesero offers plenty of space, comfort and independence amidst the evocative nature of the Dolomites. 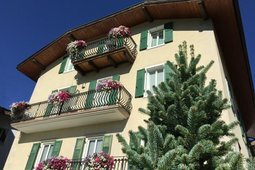 Holidays means first of all freedom, and the apartments of Residence Mich are ideal for this type of holiday in Val di Fiemme. 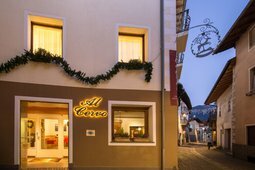 Hotel Al Cervo is a family run accommodation in the heart of Val di Fiemme, in the historical centre of Tesero, a little alpine village which has maintained its traditional features over the decades, including its traditional pedestrian area, churches and artisan workshops. "Living a relaxing holiday and sports" - this is the motto of this hotel. 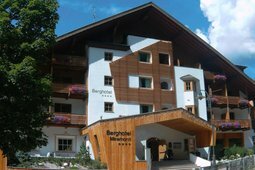 The Hotel is situated at the foot of the Latemar in a relaxing and quite area, ideal for excursions of all kinds.